A local Muslin-American group says that the keynote speaker at a Naval Academy Alumni Association chapter luncheon Wednesday is an “anti-Muslim conspiracy theorist” and plans to protest the event. John Guandolo will be the keynote speaker at the luncheon at Dave and Busters in Mission Valley. 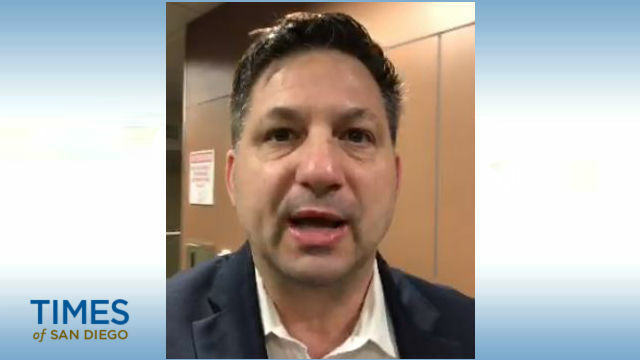 Guandolo founded the security company Understanding the Threat, which describes itself as an organization that trains law enforcement and military personnel about what it calls the “Global Islamic Movement” and jihadi networks inside the U.S. The San Diego chapter of the Council on American-Islamic Relations plans to protest outside of the luncheon due to what it says is Guandolo’s Islamophobic positions. During a 2009 speech in Tennessee, Guandolo alleged that every major Muslim organization is controlled by the Muslim Brotherhood and those groups are working together to implement Islamic religious law in all areas of life. “They’re having great success of implementing Shariah law. I could give you a thousand examples,” Guandolo said, according to a Shelbyville Times-Gazette article. During that speech, he also said that the group planning the San Diego protest is actually a front for the terror organization Hamas, according to the newspaper. The event page says that the association invites speakers with “different messages” and who do not reflect the opinions of the local chapter. Guandolo resigned from the FBI in 2009 about a year before information surfaced that he had a sexual relationship with a star witness in a case against former Congressman William Jefferson. He also unsuccessfully solicited a $75,000 donation for an anti-terrorism group from the woman, according to reports. Guandolo or representatives from the alumni associations could not be reached for comment.